''The Spanish Window'' is a small oil painting that captures a daydream. 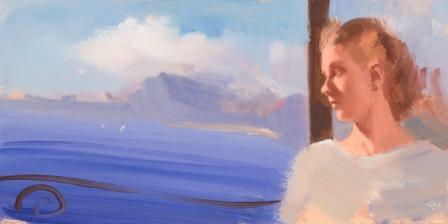 A misty landscape and calm blue sea seem to have entranced the woman who gazes out to sea from ''The Spanish Window''. This is a soft and dreamy painting full of curves and no sharp edges.